It's 6 years since I turned 16. And to be honest, I'm not even 100% sure what I did for it. At fifteen I had a party and a meal... and 16, well, who knows? What I do remember about 16 in general is that I was pretty much any other 16 year old: 'full' of knowledge and desperate to grow up. A month after I turned 16 I had my disaster of a prom *shudder*, which was definitely a turning point for me, and then I joined sixth form, where I met most of my still-best friends. The great ones who you can call up at 3am after 6 months of barely talking. My 16 year old self may have thought she knew herself through and through, but twenty two year old me is only just scratching the surface. 1) I went to University: It wasn't for another year that I even contemplated going to university, and then it took me 10 lots of applications before I found the uni I was happy to go to. BUT, it was honestly the best decision I've ever made. My gap year and my three years at university were the best four years of my life, and I'm so lucky to say I don't have a single regret. 2) I cut my hair: LOL, I'm not sure if this is quite the groundbreaking decision, but my hair has always been a shield. Bad face day? No worries, my long dark hair would distract from it. I loved having long hair, so my decision in 2015 and then again this summer to cut my hair into a grazing-the-shoulder bob, was a big one. And although both times now, I've had post-cut regret, I'm still kind of glad I did it because my hair is looking a hell of a lot healthier for it. 3) I quit the London job: To be quite honest, 21 year old me didn't think this would happen. But it has, and I did, and not a single person has told me I've made a mistake. All I've heard from friends and family is how brave I am, which although I'm not sure I'd use that word, it was definitely a daunting decision. But thank goodness I did, I know if I'd stuck it out I'd just ended up resenting my job more and more. 4) I'm still living in Dorset: A shock for everyone, let alone 16 year old me. My friend even said to me, 'I thought you'd never come back'. Well, here I am. May it be short and sweet, but good for the soul. 5) I'm single: Would we call this a choice? Maybe not, but with everything going on in my life, the last thing I want at the moment is somebody else to think about, and it would definitely have made my selfish life choices a lot harder. When you're in your twenties it's so easy to date somebody for convenience and just because they're there, but my decision not to do this is another sign of growing up. 6) I'm not going to be a journalist: Turns out, journalism is not for me. I thought it was going to be my career for a very long time, and although I LOVE writing (hence this lil' internet space), I don't want to be a journalist. This may have also been ever so slightly due to one too many chick flicks. 7) I like red wine: WTF????? I didn't like red wine until I was 20. And now, it's basically the only wine I'll drink. Is this the definition of growing up? Maybe. 8) I've stopped singing: This is something I actually want to pick back up again. When I was 16, singing was my life. 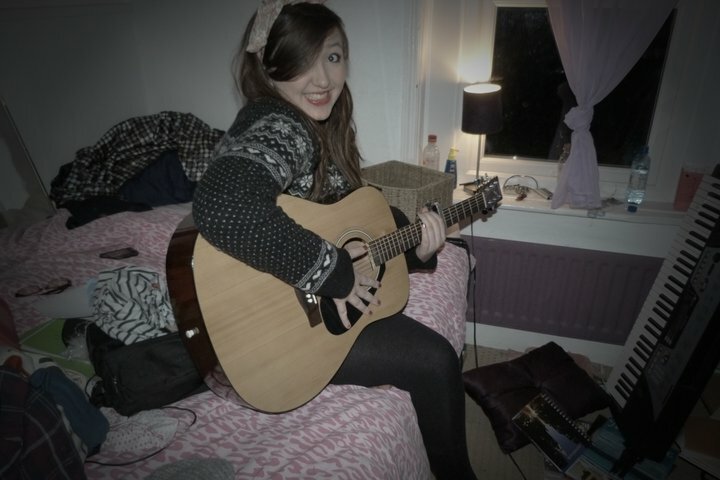 I was singing and playing guitar at weddings, local festivals, busking, and the odd pub. It was always a hobby rather than a profession but I couldn't imagine a life where people didn't know I could sing. Fast forward a few years, and apart from the odd hour in my bedroom, my guitar stays in its case. It's probably about time I picked it up again, eh? 9) I've broken friendships on my own terms: This is a huge one. Bloody massive. 16 year old me was, to be frank, a melt. Ruled and walked over by other girls, I would give anything to just be accepted. I've now realised the toxicity of some friendships and the importance of moving onwards and understanding change. I mostly grew up with other girls dictating the rules of friendship, and 16 year old me was very far from understanding that one loyal friend is better than twenty unloyal popular ones. 10) I'm NOT ready for marriage and kids: Hahahahahahaha. Ha. When I was 16, my life plan was marriage and kids by approximately 25. Which gives me less than three years to find a husband and baby daddy. It didn't go to plan, and thank goodness for that. Isn't it funny how much the reality of life as you live it doesn't add up to the expectations? Despite knowing my 16 year old self would be surprised at these life choices, I personally don't regret a single one of them. I hope you're having a lovely week! I have a new vlog over on my Youtube tonight at 7pm! Don't forget you can subscribe to me on Youtube here and I've also joined Bloglovin'! I think our 16 year old selves would have gotten along! A lot of these choices I relate to clearly and I think a lot of 20 something year olds are in the same boat at the moment with life. I definitely think you should pick up that guitar again and start doing covers on your channel!